From that first glance, to the first kiss, and every wonderful moment after, she has captured your heart. Show her that you will fall in love with her again every day, a thousand times a day with this romantic necklace. 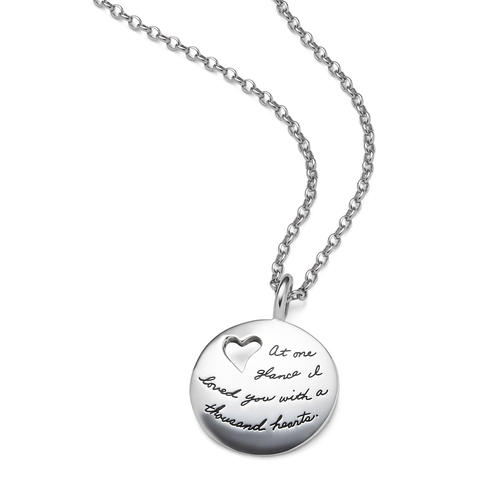 This sterling silver beauty with its dainty heart cutout doesn’t just make a great romantic gift; it’s also a lovely present for a parent to give a daughter as she honors the girl who took her breath away on the day she was born. This hand polished necklace makes a wonderful birthday, anniversary or Valentine’s Day gift.